4,711 stock photos, vectors, and illustrations are available royalty-free. two young man, 20-29 years old, sports physiotherapy indoors in studio, photo shoot. Physiotherapist massaging muscular patient back side of shoulder or arm, with his hands close-up. microblading close-up, hands adding pigment to eyebrows. two young man, 20-29 years old, sports physiotherapy indoors in studio, photo shoot. Physiotherapist massaging muscular patient back with his hands. 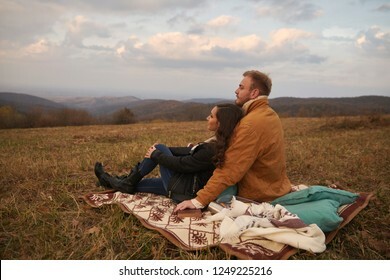 atwo young intimate people, 20-29 years old, couple or friends, together on mountain field outdoors picnic, sitting on blanket, relaxing. 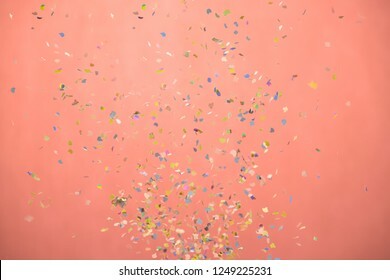 close-up of small confetti falling down in a whirl, flying in mid air. shot in studio, on pink backdrop. hands close-up, microblading, wiping, cleaning eyebrow with swab, from pencil line. two young man, cuddling in front of camera, kiss in cheek. other is looking directly to camera. 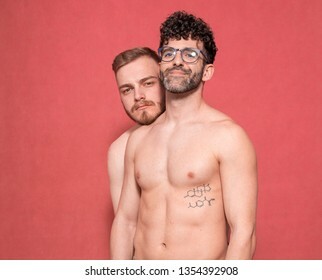 two men, gay couple together shirtless, upper body. shot in studio, pink background. 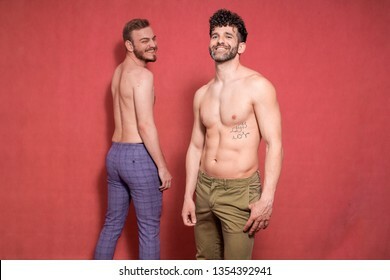 two gay men shirtless, one is in front, other one is in back. both smiling to camera. 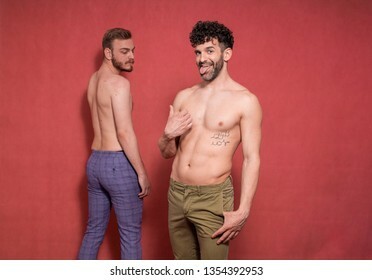 two gay men shirtless, flirting. one is in front, other one is in back. checking each other. one young man, 20-25 years, moody dark portrait, profile. studio shot, gray background. head and shoulders shot. 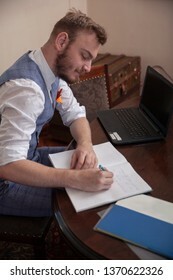 one young smiling and happy man, 20-29 years old, sitting in bar stool at his home, in his room, in front of a standing desk filled with computer. book shelf in background. woman on back, vacuum cupping therapy, rear view. 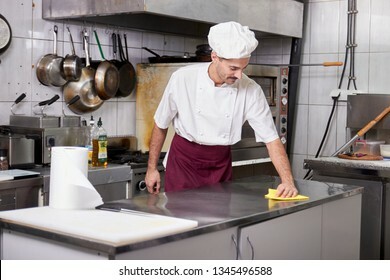 young chef in kitchen cleaning working table, after closing restaurant. one young hipster man, laying in bed sleeping. whole sofa and bed visible, view from above. 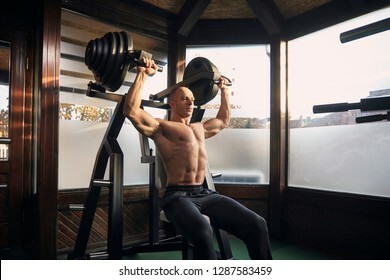 one man, 30-39 years, bodybuilder exercising overhead plate press machine. At home (with many windows) in his own gym with professional fitness equipment. one young woman, 20-29 years old, long blond hair. Shot in studio on pink background, funny face expression, eyes wide open, mouth turned sideways, shocked and surprised. side view, two young man, 20-29 years old, sports physiotherapy indoors in studio, photo shoot. Strong Physiotherapist hard massaging relaxed patient neck back side, with his elbow. two young man, 20-29 years old, sports physiotherapy indoors in studio, photo shoot. Physiotherapist massaging muscular patient back with his elbow. 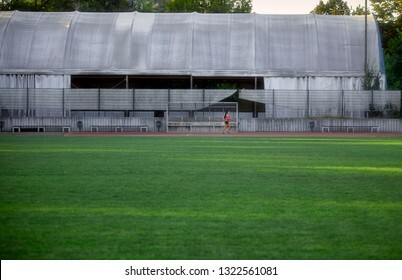 one young woman, small tiny in shot, running alone on a sports and field, running tracks. Large grass field (from football court). 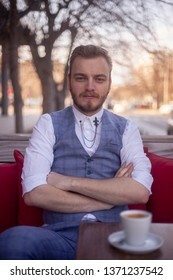 one young man, 20-29 years old, wearing suit, looking smiling. 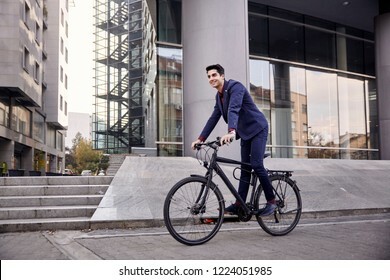 riding, pedaling standing, fancy bicycle. full length body. modern architecture building behind. 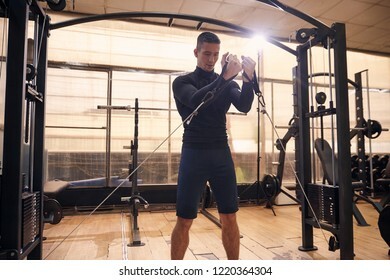 one young handsome man, 20-29 years old, training in gym indoors, pulling cable chest exercisem on multi-station machine. one young handsome man, 20-29 years old, portrait indoors in gym, wearing sport clothes. front view. arms on hips. 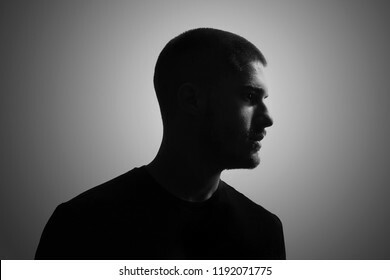 black and white, one young man, 20-25 years, moody dark portrait, profile. studio shot, gray background. head and shoulders shot. 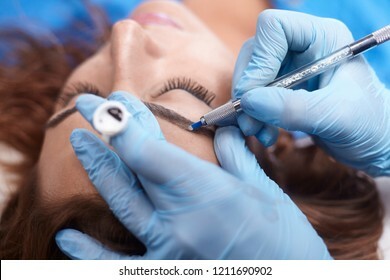 microblading, woman drawing with pencil eyebrow shape, elevated view. 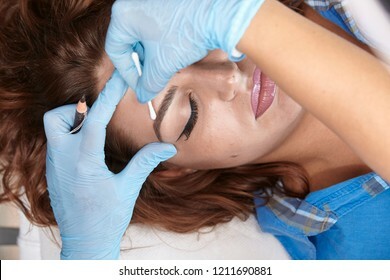 microblading, woman drawing with pencil eyebrow shape, checking it with caliper. elevated view. 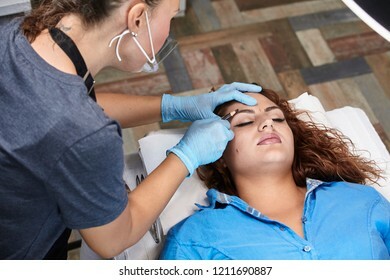 microblading, woman pre-visualizing, checking eyebrow shape on smartphone app. elevated view. 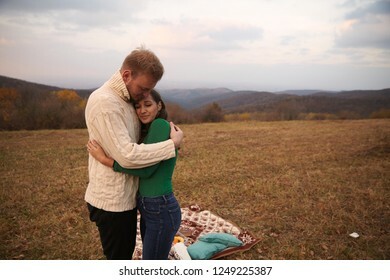 two young people, couple hugging outdoors in mountains field, on a picnic vacation. one young woman, 20-29 years old, messy chaotic long blond hair, almost hilarious since her face can't be seen. Shot in studio on pink background. one young woman, 20-29 years old, long blond hair. Shot in studio on pink background. Wearing jeans jacket with sign "follow your dreams" on her back, (rear view). one young woman, looking sideways, 20-29 years old, long blond hair. Shot in studio on pink background. Wearing jeans jacket with sign "follow your dreams" on her back, (rear view). 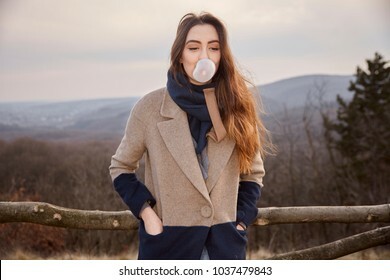 one young cute Caucasian girl, looking away, blowing bubble gum, wearing winter autumn coat, scarf. one young happy man, sitting in coffee shop and using his laptop, typing on keyboard, looking to computer screen. Shoot thought window outside (with reflections). 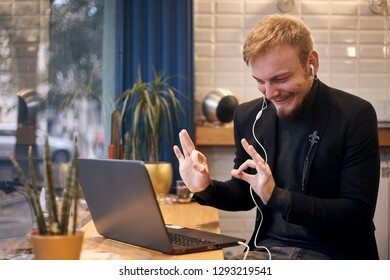 one young smiling and happy man, sitting indoors in coffee shop and gesturing with hands and fingers "It's perfect", to laptop webcam over video call or chat (earbuds in ear). 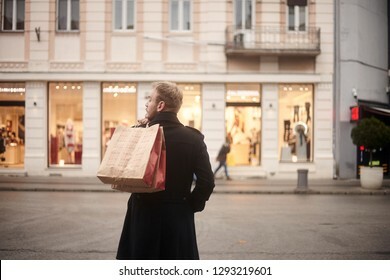 one young mans back, rear view, 20-29 years old, handsome and stylish, standing on a pedestrian street in city, looking, while holding two shopping bags on his back. Store front windows in distance. one one young smiling man, using smart-phone while laying in sofa. view from above of his whole room, full lenght shot. one young hipster, laying in couch in his room. using smartphone. bird's eye view; view from above. 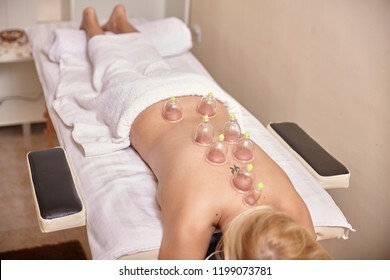 Cupping therapy, vacuum spots on woman back. two young man, 20-29 years old, sports physiotherapy indoors in studio, photo shoot. Physiotherapist massaging muscular patient chest abdomen with his hands, while holding his arm. two young man, 20-29 years old, sports physiotherapy indoors in studio, photo shoot. 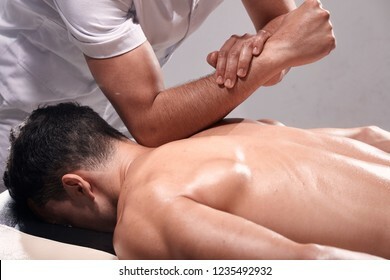 Physiotherapist massaging muscular patient back with his hands close-up. Two young man, 20-29 years. 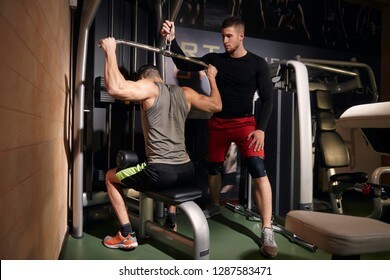 One man exercising back muscles, training on lat pulldown machine, while other friend or coach is helping him. In gym, with professional fitness equipment. 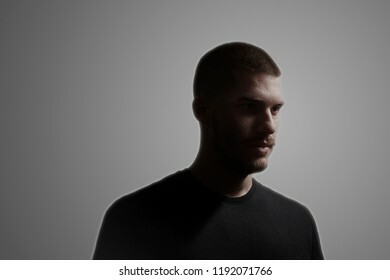 one young man, 20-25 years, moody dark portrait, side view. studio shot, gray background. head and shoulders shot. black and white, one young man, 20-25 years, moody dark portrait, side view. studio shot, gray background. head and shoulders shot. 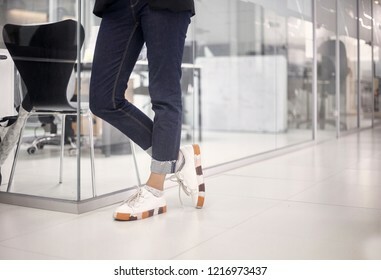 close-up shot of woman wearing jeans and sneakers (smart casual) in white modern office floor, interior. low angle view. 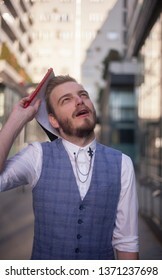 one young man, looking silly while talking over phone, with post-it note attached or glued to his forehead. one young man siting while wearing roller blades and holding a notebook. side view. 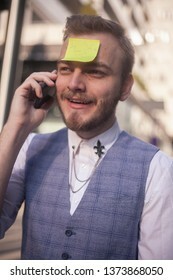 one young businessman, talking on a phone, with sticky note attached to his forehead. positive face expression. 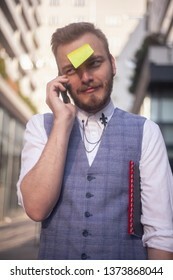 one young businessman talking on a phone, while post-it note is comically attached to his forehead, in a disbelief. 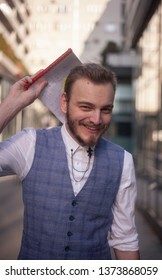 one young man, joyfully smiling to camera, while holding a notebook. upper body shot, wearing business suit. microblading, specialist drawing eyebrow shape with pencil. woman laying on bed, eyes closed. microblading specialist showing eyebrow pre-visualization on smartphone app, close-up. 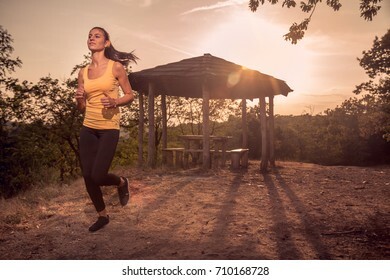 one young woman, outdoors public gym in park, elliptical exercise. 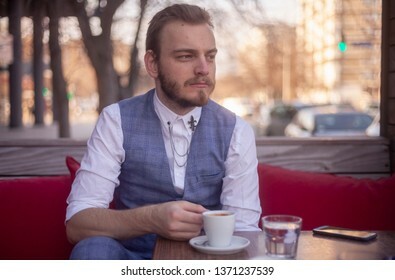 one young man, looking sideways 20-29 years old sitting in a coffee shop. 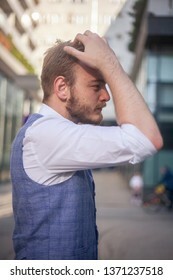 one young man, 20-29 years old sitting in a coffee shop garden outdoors, looking to camera, arms crossed. 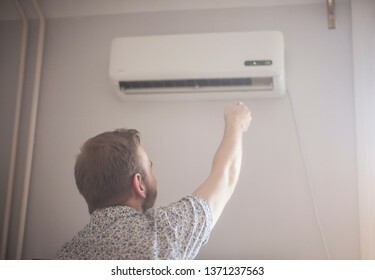 one young man, 20-29 years old, turning on his air conditioner. rear view. 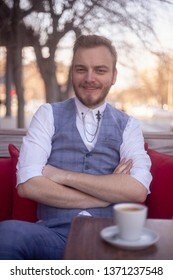 one young smiling man portrait, 20-29 years old sitting in a coffee shop, with arms crossed, looking to camera. one young man, 20-29 years old, talking on his phone while leaning on a pole, looking to notebook. 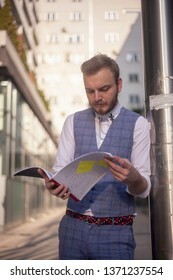 one young man, 20-29 years old, reading from his notebook, leaning on a pole. one young man, 20-29 years old, skating in his inline skates while holding a notebook. front view. 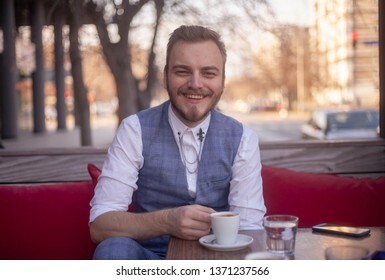 one young smiling man, 20-29 years old sitting in a coffee shop. Espresso cup on table. 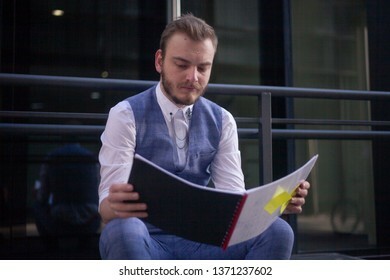 one young man, 20-29 years old sitting and reading from his notebook.front view. one young man, upper body shot, looking at his smartphone in disbelief. 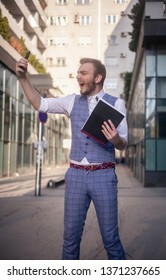 one young furious businessman, holding his phone. upper body shot, wearing suit. 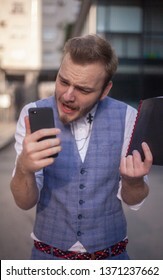 one young man, holding phone in a hand and looking at it with fury, while holding notebook in other hand. outdoors in a business district. 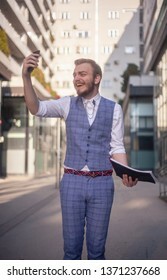 one young man, looking to his smartphone in a disbelief, wearing a suit in a business district. holding notebook in other hand. 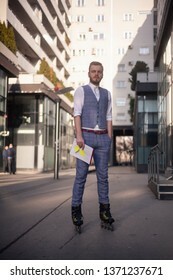 one young businessman, wearing suit and inline skates at same time, eccentric style, fashionable and trendy. 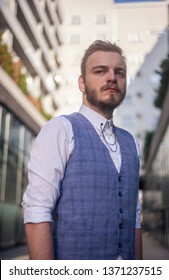 Full length portrait in business district. 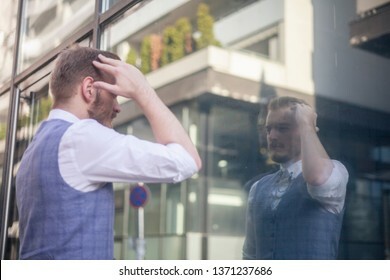 one young businessman, 20-29 years old, setting his hairstyle, touching his head looking at himself in a window mirror. 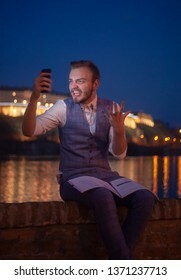 one young businessman, 20-29 years old , laying beside a river and reading a book, night time. 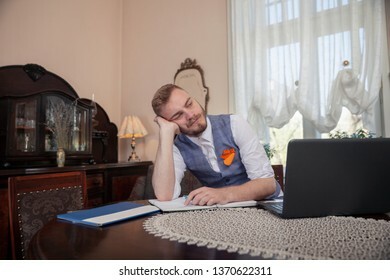 one young businessman overwhelmed with his work, looking up above, scratching his head with a notebook. outdoors, upper body shot. 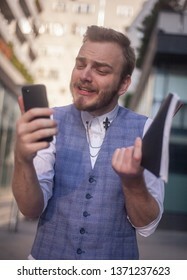 one young businessman, 20-29 years old looking at his phone in fury. 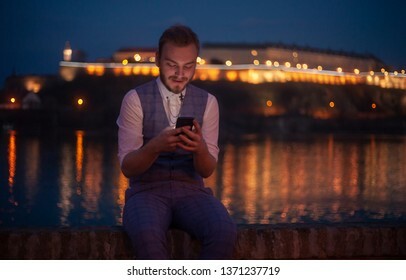 one young businessman, 20-29 years old , sitting near a river, night time,while looking to his phone. 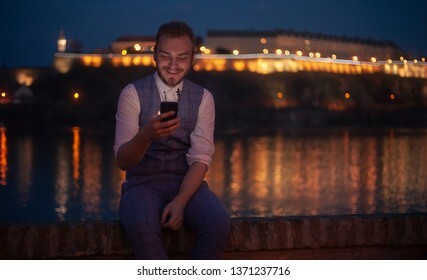 one young businessman, 20-29 years old, sitting near a river, night time,while looking to his phone. 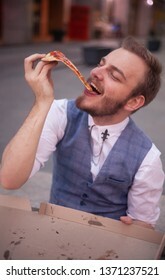 one young businessman, 20-29 years old, holding a slice of pizza, looking to camera. 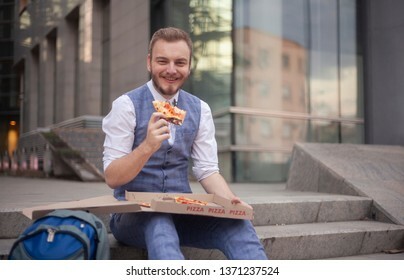 one young businessman, 20-29 years old, eating a slice of pizza, side view. 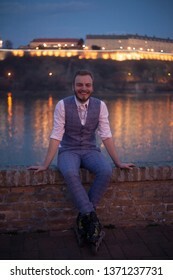 one young businessman,20-29 years old, sitting near a river during night time, while wearing, inline skates. 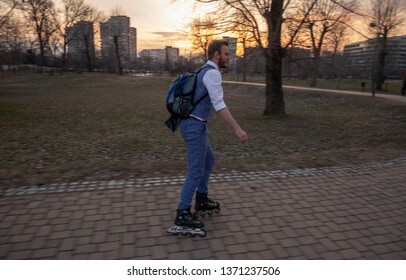 one young businessman, 20-29 years old, ridding inline skates in a park. 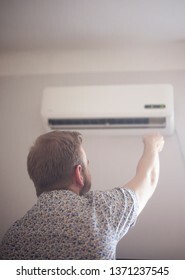 one young businessman, seriously looking to camera, from above. low angle shot. one young smiling businessman, looking at the camera, sitting on a ramp in a skate park wearing inline skates. 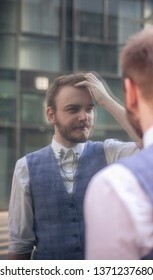 one young businessman, seriously looking to camera, looking to camera. 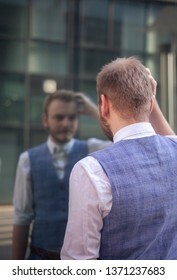 one young businessman, looking to himself, setting his hairstyle. side view. 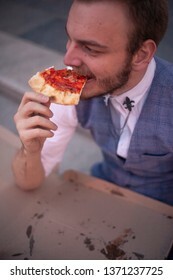 one young businessman, 20-29 years old, eating his last pizza cut, front view. 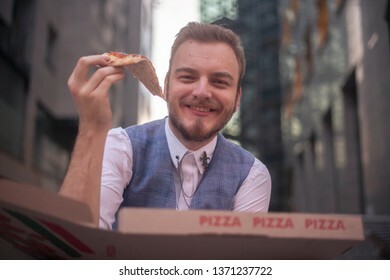 one young businessman, 20-29 years old, eating a pizza slice, looking to camera. 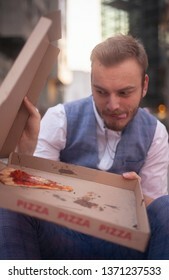 one young businessman, 20-29 years old, resisting to eat his food, looking to pizza. 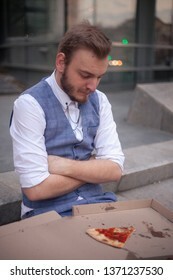 one young, 20-29 years old ,silly businessman resisting to eat his last pizza cut. 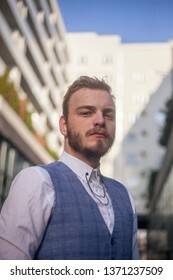 one young businessman portrait, looking to camera. 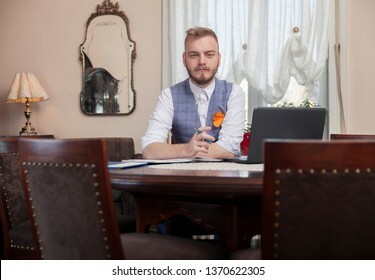 sitting in chair in his home interior, antique furniture. On table is laptop and notebook. 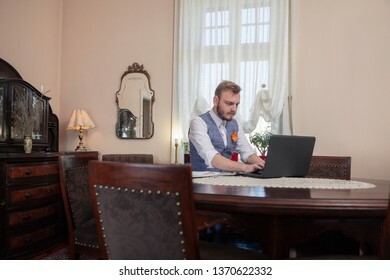 one young businessman, sitting in front of his computer, in his apartment room with antique furniture. bored of working, tired of problems. smiling businessman, formal wear, posing for a portrait. looking at camera. sitting in his apartment room, with antique furniture. 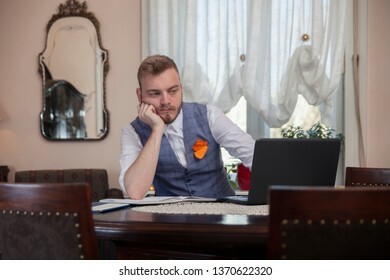 one young businessman sitting in his apartment, writing in notebook, laptop on table. 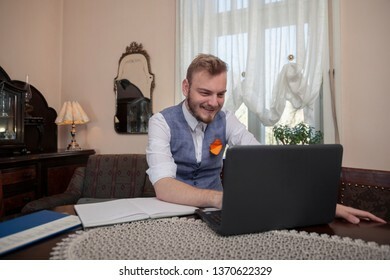 one young cheerful man, working on his laptop, at his apartment, with antique furniture. 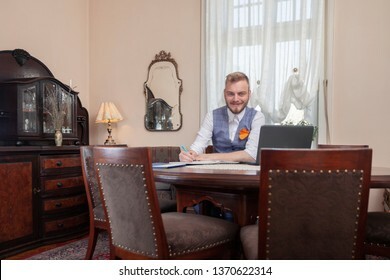 one young businessman working on his laptop, in his apartment room, filled with antique furniture.